I did it! Yes, I completed my self-set challenge of reading 100 books in a year; it was a struggle at times – especially during my A Levels – but overall it was worth it. I read some great classics and some not-so-great trash, some major disappointments and some brilliant surprises, most short, some long, all an achievement. When I tell people about this challenge they usually have the same questions to ask: “Which was the best/the worst/the funniest/the saddest/the most beautifully written?” So in a series of three posts I’m going to both answer most of these and test myself to see if can actually remember all of them… Crossed fingers! 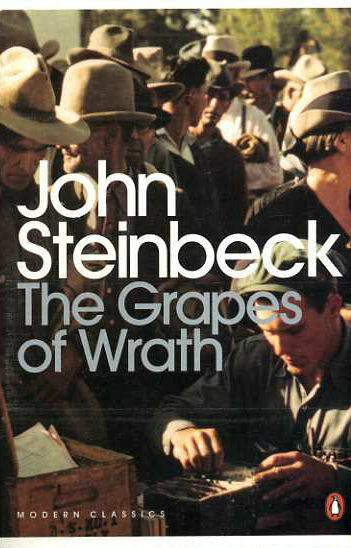 It’s incredibly easy to choose my number one tippity toppity book of the year; ‘The Grapes of Wrath’ (John Steinbeck) was the only novel I gave ten out of ten stars to for its completely amazing descriptions, entirely believable characters and general brilliantness. One of the most beautifully written books ever, in my opinion. Another classic I loved was ‘Our Mutual Friend’ (Charles Dickens) – yes, it took up several weeks of my precious time and set me back quite a bit with my target, but it was well worth it. Whilst at the beginning, the constant different new characters which keep on appearing are simply confusing, you grow to love them over time and get caught up by the plot twists, romances and drama. But, as always, the best things are the witty character sketches. Dickens is a comic genius. 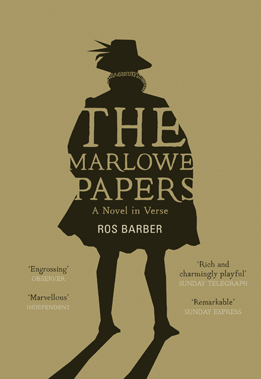 Lastly, ‘The Marlowe Papers’(Ros Barber). Like ‘The Grapes of Wrath’, the language is sublime, though this is less down to the descriptions and more to Barber’s brilliant manipulation of blank verse. Although, as previously stated, I don’t agree with the premise, and Marlowe’s character for me tails off at the end, it is both gripping and thoughtful and one of the best new books out there. Again, a relatively easy decision: ‘On the Road’ by Jack Keroac was easily the worst book I read this year. This was partly because of the disappointment of finding I didn’t like such a popular classic and partly just the mind-numbing tediousness of the whole thing! There is practically no plot at all, and the worst thing is, it pretends to be so dramatic and fast paced and exciting, and really it’s just goddam boring. The characters mean next to nothing to me, there seems to be no true development and even the descriptions aren’t that good. It took me ages to read and the only reason I’m glad for all that effort is that it gives me the ability to say I’ve read it, which should never be the only thing you can say about a book. 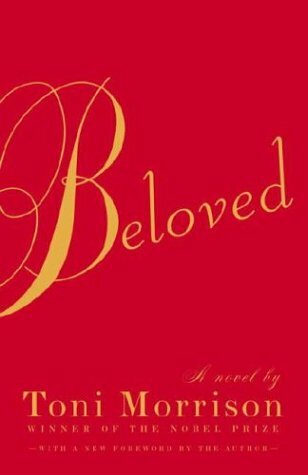 ‘Beloved’(Toni Morrison) was a little better, because of the intensely passionate descriptive writing, but was likewise a disappointment, since I’ve seen and heard it raved about, and I just did not get it. The characters were vaguely interesting but not at all likeable, the plot was incredibly confusing, and I didn’t understand the whole thing. Not for me. ‘Heart of Darkness’(Joseph Conrad) once again had flat characters I felt; it didn’t grip me and the beginning was seemingly unnecessary. I did try reading more Conrad (‘The Secret Agent’ – supposedly one of the classics) but really, I don’t think we’re ever going to exactly hit it off. All three of these books I chose because I thought they’d be quick but interesting and important reads; however, whilst they may be important, none were exactly quick; I just wasn’t absorbed enough to want to read them. Sons and Lovers’ (D. H. Lawrence) also gets a special mention here! Not to carry on the down-beat mood, but there definitely were one or two major disappointments this year; ‘Moranthology’ I’d looked forward to since reading the brilliant ‘How To Be A Woman’ by the same author, Caitlin Moran. Seeing it had columns on ‘Sherlock’, my most favourite TV show ever, in it, my excitement only intensified. 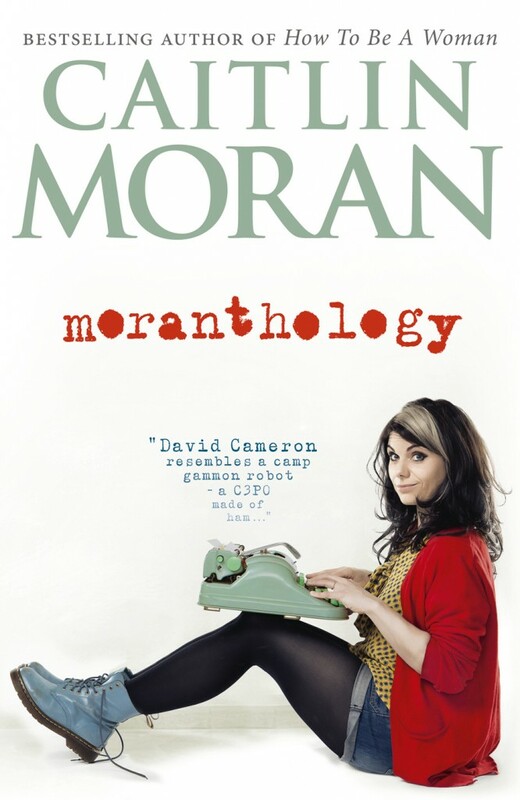 However, whilst Moran’s typically witty and heartfelt writing did shine through on several occasions; overall this anthology of her columns was not nearly as brilliant as I’d hoped. Too much was written over and over about her difficult childhood for my liking to be honest. 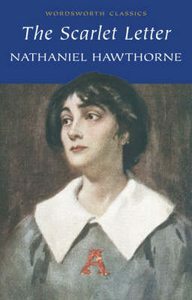 ‘The Scarlet Letter’(Nathaniel Hawthorne) could never live up to its reputation as the inspiration behind one of my favourite films ‘Easy A’, but I really didn’t expect it to be quite as monotonous as it was. Another one, like ‘Heart of Darkness’, which had a pointless opening prologue. Just get straight into the story guys! 4. Most surprising (in a good way!) book of 2013? 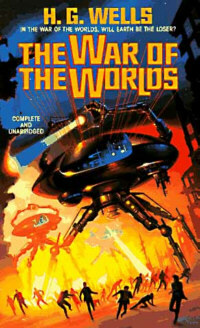 Ah, ‘The War of the Worlds’ (H.G.Wells) was such a lovely surprise after his less exciting ‘Ann Veronica’. What a brilliantly gripping imaginative book; its only flaw being the rather abrupt and hasty ending. Despite this, Wells still creates an expert sci-fi novel – completely engrossing. 5. 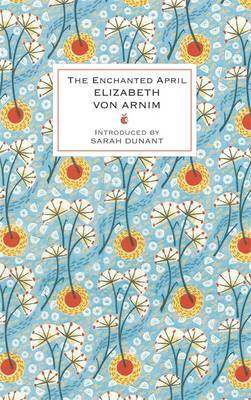 Three books you read in 2013 that you recommended to people most in 2013?The Enchanted April’ (Elizabeth Van Arnim) is a lovely little easy read to transport you to an Italian paradise. Not to spoil it, but everything turns out well in the end. The characters are each different, fun and mostly likeable – my big recommendation for a light-hearted satisfying summer read. One of my big discoveries of 2013 was a huge love for Evelyn Waugh’s work, but especially ‘Vile Bodies’ which has everything one could wish for; satirical, ironic, witty characters, ridiculous situations and a deeper, more melancholy feeling haunting the text towards the end. I don’t understand people who don’t enjoy this. 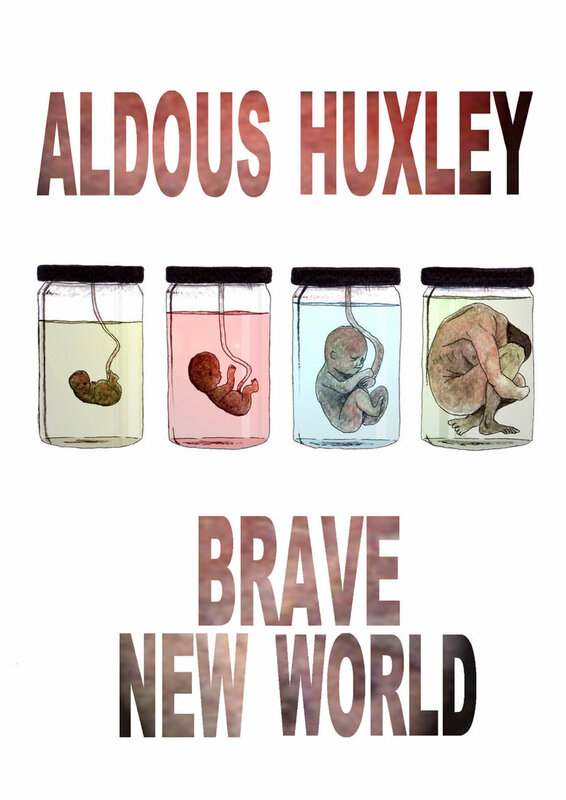 ‘Brave New World’(Aldous Huxley) is a book I recommend to everyone, because everyone likes Orwell’s ‘1984’ and this is reasonably similar. The best sections are the beginning, as we discover this incredibly detailed, fascinating dystopian world, and the Controller’s speech bluntly stating the true question the book asks: Would you rather have knowledge or happiness? Read the novel before you answer the problem! You can tell these are highly recommended because I wrote blog posts on each and every one of them – I tend not to bore you with rants against the bad ones if I can help it. 6. Best series you discovered in 2013? 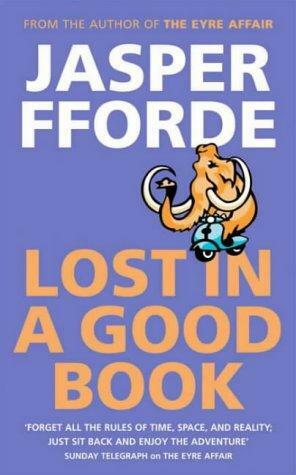 The Thursday Next series by Jasper Fforde is my favourite thing I found this year. So far I’ve read the first two (‘The Eyre Affair’ and ‘Lost in a Good Book’ ) and the third is waiting for me on my brand new Kindle Paperwhite (ooh controversial…). They’re completely hilarious and clever and dramatic and I love them. Highly recommended, especially for people who like Douglas Adam’s ‘The Hitch-hiker’s Guide to the Galaxy’ series, or for avid readers in general. 7. Favorite new authors you discovered in 2013? Pat Barker’s ‘Regeneration’ series was brilliant; Ian McEwan’s books are completely enthralling; as I’ve mentioned, Evelyn Waugh is my guy at the moment; and his friend and similar author Nancy Mitford has also given me two slyly witty enjoyable reads. 8. Best book that was out of your comfort zone or was a new genre for you? 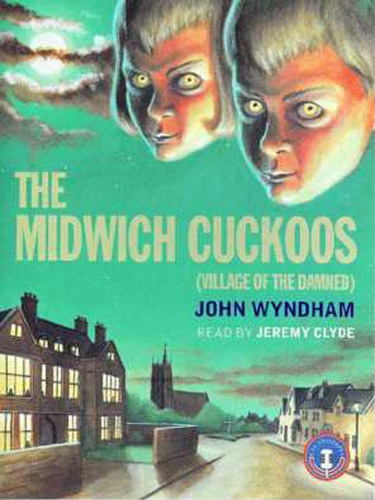 ‘The Midwich Cuckoos’ by John Wyndham (which is about Midwich, an English village mysteriously completely sealed off and put to sleep for one day. Nine months later, identical children are born to every woman of a child-bearing age in the hamlet. Why are they here? What do they want? And how will they take it? It’s completely engrossing, trust me). This wasn’t exactly out of my comfort zone, but with it, and ‘The War of the Worlds’, I’ve discovered a new love for sci-fi! Anyone got any more similar suggestions for me? That’s all for now, though Part 2 is coming up very soon! What books did you read in 2013? Any you’d recommend? Or any you’d definitely steer clear of? Comment below! It amuses me/slightly worries me as to how relevant ‘Brave New World’ has become (It is almost as if every scientist has been reading it and establishing new development because of it). I feel this gives it a greater significance than ‘Nineteen Eighty Four’ as that it is really a manifestation of Orwell’s fears based upon the events taking place as he died, whereas Huxley lived and commented on ‘Brave New World’ decades after it was published. On that note, have you read ‘Brave New World Revisited’? I read two of Orwell’s autobiographical works last year which are two of the best things in turn ‘Down and Out in Paris and London’ and ‘Homage to Catalonia’. I find it a shame that people only remember Orwell for ‘Animal Farm’ and ‘Nineteen Eighty Four’ for the reason that they seem to disregard all the other great things he work, and how broad his canon was. I’m intending to read ‘Burmese Days’ when I get a chance. I recommend you to read one of the two non-fiction novels by Orwell and and his essays (if you have not already read some of them). Haha, I know what you mean! That’s also what slightly freaked me out about ‘Fahrenheit 451’. If you read ‘We’ by Zamyatin, which is in some ways the original dystopian novel, it has an incredibly similar plot to ‘1984’, so although I absolutely love it, the fact that Orwell wasn’t being as original as I thought is a bit disappointing. I have read ‘Brave New World Revisited’, I think. It was very interesting. I have to admit, I haven’t read any Orwell apart from the two most famous ones. What would you recommend to start off with? I did really enjoy his essay on murder that was in the ELAT. I forgot to mention in my comment above that Orwell thought that his two dystopia novels were the worst things that he had written (probably because they are ultimately propaganda). I will try and read ‘We’ when I get the chance. Observing similar themes to Huxley and Orwell in the Wikipedia description of the novel, I thought it might interest you to know (if you did not already) that Huxley actually tutored Orwell when he was at Eton, so it’s clear his teaching had a long lasting effect on him! Great, will get on both of those asap. It was the British attitudes to murder or ‘the perfect murder’ one. Hope you’re having a great gap year! I just found out that Orwell wrote a review of ‘We’ in 1946 (a year before ‘Nineteen Eighty Four’) in which he says that he believes Huxley took elements of ‘Brave New World’ from the said novel, which Huxley denied. Having read ‘Brave New World’ and seen the blurb for ‘We’ I am also inclined to think that Huxley is lying.